If you prefer not to use toxic pesticides and other chemicals, this post will help you learn how to get rid of carpenter ants naturally. There could be various reasons and situations where you might prefer to use non-toxic methods to kill carpenter ants. For example I have two dogs at home and prefer not to have toxic ant bait lying around the house in case the dogs eat it! Neither do I like spraying pesticide for the same reason that it risks exposing my pets to the toxic chemicals. My wife also does not like the smell of insecticide sprays and strongly objects to their use. Or you might have a toddler who might inadvertently come into contact with these toxins and develop a reaction from touching or worse ingesting it. In such cases, a good non-chemical, non-insecticidal, non-toxic bug killer is diatomaceous earth. Dia-what?? Diatomaceous earth or DE is a white talcum powder like substance that is actually the fossilized remains of marine plants known as diatoms. 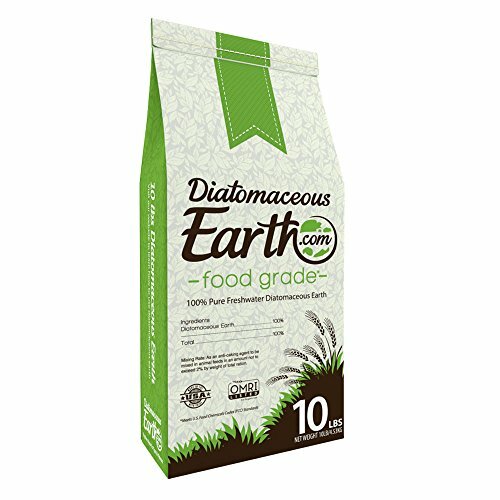 Diatomaceous earth is non-toxic and harmless to humans and mammals like dogs, cats, cattle, etc. In fact it is used in things like toothpaste and cat litter. DE is also used as a health supplement for both humans and animals. It is eaten by people to detox their digestive tract and also fed to animals as a de-wormer. For people who take DE as a supplement, the dosage is from a spoonful to a quarter cup a day. So yes, DE is very safe. The only thing I personally dislike about DE is that the powder makes the area it is applied to feel dusty. DE is also mixed into grains that are kept in storage to kill grain eating bugs and this is where it is relevant as a tool to get rid of carpenter ants. In fact DE can be used to kill any insects with an exoskeleton (a hard outer layer that protects the soft body inside) such as ants, cockroaches, ticks, fleas and bed bugs. DE works in two steps. First the fine powder is actually microscopically hard and abrasive. It is essentially silica which is what glass is made from. So when an insect comes into contact with it, the powder get stuck on them and in their joints, cutting through the insect’s exoskeletons. It is also inhaled and generally gets into the insect’s orifices. This brings us to effect two. Since DE is mostly silica, it is a very effective desiccant. This means it will absorb moisture and dry up its surroundings like silica that is commonly used for dehumidifying. The sum effect of using DE on an insect is that it coats the insect, cuts it open, cuts it up internally and dries out the poor creature. Also since DE’s effectiveness is completely physical and mechanical, insects do not develop an immunity to it unlike chemicals. Applying DE only to areas where the worker ants gather food will kill them but will not get rid of the queen and colony. The powder must be applied directly and liberally in, on and around the ant nest so that it gets into the galleries and tunnels throughout the nest in order to permanently get rid of carpenter ants. Be careful around an ant nest as carpenter ants bite if threatened! Having said that, it can be used effectively as non-toxic perimeter protection or sprinkled into areas which you want bugs to stay away from such as under mattresses on beds, between floorboards, lawns, etc. DE is not something you can easily find anywhere. I ordered mine online. The main things to note are to NOT buy DE for swimming pools as that is a very coarse grade that will have NO effect on bugs. Just get something that is labeled as food grade or animal/pet grade. You also want to get a powder duster which is helpful to get the DE into holes and crevices as well as to spread it around more efficiently. Hope this has been helpful! Leave a comment if you any questions or have had experience using DE and tell us the results. Read more about DE here. If you also want to use poisonous carpenter ant bait, you can try the Carpenter Ant Control Kit.